A new report about aviation biofuels, published by the environmental NGO Biofuelwatch, exposes the strict limits to the amount of such fuels which could be sourced from wastes and residues – as well as their adverse indirect impacts. ICAO wants to get large amounts of biofuel for the aviation industry, in an effort to claim the fuel is “low carbon”. In reality, the report confirms, the limits to the amount of suitable wastes and residues would make it impossible for airlines to avoid virgin vegetable oils – especially palm oil – if they were to start using biofuels on a large scale. The report focusses on WorldEnergy’s refinery in California, until now the only one to regularly produce biofuels for aircraft. So far all of the biofuels made at the Paramount refinery have been made from tallow, which is a residue from slaughter houses. Given the scarcity of tallow, WorldEnergy is now planning to diversify into Used Cooking Oil and a corn oil residue from corn ethanol refineries. There are only limited amounts of these. To scale up their use of biofuels, airlines would resort to palm oil, and this would be disastrous for the climate, for forests, the wildlife they support, and for forest-dependent communities. A new report about aviation biofuels,  published by the environmental NGO Biofuelwatch  today, exposes the strict limits to the amount of such fuels which could be sourced from wastes and residues as well as their adverse indirect impacts. The report focusses on WorldEnergy’s  refinery in Paramount, California, until now the only one to regularly produce biofuels for aircraft. Amongst WorldEnergy’s customers have been KLM, United Airlines, Singapore Airlines, Gulfstream, and Oslo Airport. So far all of the biofuels made at the Paramount refinery have been made from tallow, which is a residue from slaughter houses. Given the scarcity of tallow, WorldEnergy is now planning to diversify into Used Cooking Oil and a corn oil residue from corn ethanol refineries. Biofuelwatch has calculated that using all tallow worldwide for biofuels could only supply 1.7% of global aviation fuel burned in 2016. Converting all Used Cooking Oil that can be realistically collected in the EU and USA would meet just 0.16% of US aviation fuel and 0,26% of EU aviation fuel use respectively. The total amount of the corn oil residue is even smaller than that of Used Cooking Oil. Furthermore, diverting more than the most contaminated types of tallow from animal feed, soap production and food results in greater palm oil use as a replacement. Diverting corn oil residue from animal feed to biofuels, leads to more soya oil being fed to cattle, and thus greater emissions from land use change. The ICAO is a specialist UN organisation. Its Committee on Aviation Environmental Protection (CAEP) is meeting in Montreal from 4th to 15th February. The agenda for the CAEP meeting includes finalising recommendations about which types of aviation biofuels will be classified as ‘low-carbon’ ‘sustainable alternative aviation biofuels’ (icao.int/environmental-protection/Pages/CAEP11.aspx). CAEP, like other ICAO meetings are highly secretive and non-transparent (see eyeonglobaltransparency.net/2019/02/01/no-documents-closed-doors-at-the-international-civil-aviation-organization/). WorldEnergy (worldenergy.net/) is a US biofuel company which acquired the Paramount refinery from AltAir in March 2018. The refinery produces biofuels both for aircraft and for road transport. Posted: Friday, February 22nd, 2019. Filed in Biofuels News, Climate Change News, Recent News. The problem is that the UK is determined to see the ICAO process, CORSIA, as the way aviation carbon will be dealt with. With its secrecy and low standards, it is NOT sufficient. The UK needs to do more to restrict aviation CO2 emissions. Not just use ICAO as a convenient excuse for inaction. But the body in charge of reducing the carbon footprint of international aviation has little or no public scrutiny. Its agenda and discussion documents are not released to the public or the international press, and the meetings are not open to the media. Anyone who leaks documents being discussed faces “unlimited liability for confidentiality breaches”, according to ICAO rules. Key observers at Monday’s meeting of the ICAO Committee on Aviation and Environmental Protection (CAEP) are a number of industry bodies. They include the International Business Aviation Council, the International Federation of Air Line Pilots’ Associations, the Arab Civil Aviation Commission, the International Coordinating Council of Aerospace Industries Associations, the Airports Council International (ACI) and the International Air Transport Association (IATA). The only non-governmental body not linked to the airline industry allowed into the meeting is the International Coalition for Sustainable Aviation, (ICSA) https://www.icsa-aviation.org/ made up of a small group of international environmental NGOs. Nadja Kostka, climate project coordinator at Transparency International, said: “Agencies which set common global standards for large, international industries have to be transparent in order to prevent capture by corporate interests, or even the appearance of undue influence. The key discussions on reducing emissions come amid growing pressure from some countries – and their airlines – to open the doors to all types of biofuels, including those which cause environmental destruction, such as palm oil-based fuels. Indonesia, one of the largest palm oil producers in the world, is one of 24 member states whose representatives will be deciding in secret to recommend whether future new airline fuels have to be sustainable. Malaysia, which is not a member of CAEP, is pushing a campaign – Love my Palm Oil – to extend it to non-food use, supported by its three main airlines. Twenty-four countries, including the UK, France, Canada, Singapore, Russia and the US, have representatives at this week’s meeting. This year international aircraft will for the first time have to start monitoring their emissions as part of ICAO measures to reduce emissions with a market-based system of purchasing emissions offsets – rather than by directly reducing aircraft emissions. They can reduce the amount of carbon emissions they have to offset by using biofuels, but as yet there has been no agreement by member countries on restricting the new fuels to those which are sustainable. The scheme was agreed in 2016 by the ICAO countries. But few believe it will have the required impact on cutting emissions in a growing aviation industry in which passenger numbers are predicted to double to 8.2 billion in 2037. 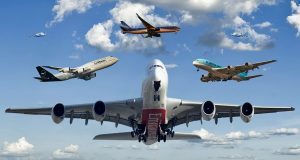 The International Council on Clean Transportation (ICCT) said it could only be expected to “modestly reduce” the net climate impact of international aviation up to 2035. Last year Saudi Arabia – with the backing of the US – secured a new definition at the ICAO of alternative fuels to include “clean oil” because the refinery producing the oil was run on renewable electricity – something Murphy said amounted to “greenwash oil” and was “an awful deal for the climate”. The environmental NGOs are calling for the ICAO and all its committees to open to the public and remove threats of “unlimited liability” for members who release documents. “At present, state and observer submissions to CAEP remain unavailable to those outside of CAEP,” they said. “When such submissions contain commercially sensitive information, such secrecy may be acceptable. However, this justification oftentimes deserves to be challenged, as information from manufacturers which is submitted to CAEP is, as a matter of course, available to other manufactures, and therefore no harm can be identified from making it available to a broader range of actors. Posted: Tuesday, February 12th, 2019. Filed in Biofuels News, Climate Change News, Recent News. Both are experts with green transport NGO Transport & Environment. That sector’s UN aviation agency, ICAO, known for its “spectacular lack of transparency”, is once more having a closed door meeting which risks clearing the way for the type of bad biofuels the EU has spent a decade trying to get rid of. And, on top of that, they are seeking to add “lower carbon” aviation fossil fuels as an option to cut aviation emissions. – and a 10% greenhouse gas savings threshold – including emissions from indirect land-use change or ILUC. Already three airlines (Malaysia Airlines, Malindo Airways and AirAsia ) have joined forces for a “Love Palm Oil” campaign, and we don’t know how many more are eagerly waiting to burn these crops. Oil giant Saudi Arabia, for example, has previously argued that the 2016 agreement should be “fuel neutral” – whereby it does not discriminate between different types of fuels – because technological advances could one day enable crude to be produced with 10% fewer emissions, as the deal requires, according to a Saudi presentation seen by Reuters. MONTREAL/BRUSSELS (Reuters) – The U.N. aviation agency is expected to include fossil fuels in a landmark global agreement to limit aircraft emissions, a move that could encourage airlines to purchase crude over more costly biojet fuels, sources familiar with the matter said. Oil giant Saudi Arabia, for example, has previously argued that the 2016 agreement should be “fuel neutral” – whereby it does not discriminate between different types of fuels – because technological advances could one day enable crude to be produced with 10 percent fewer emissions, as the deal requires, according to a Saudi presentation seen by Reuters. Posted: Monday, February 11th, 2019. Filed in Biofuels News, Climate Change News, Recent News. The Ministry of Primary Industries’ year-long “Love MY Palm Oil” campaign to fight anti-palm oil campaigns that are threatening people’s livelihoods received a boost with the coming together of Malaysia Airlines Bhd, Malindo Airways Sdn Bhd and AirAsia Bhd to endorse Malaysian palm oil to the world. The three airlines, along with Malaysia Airports Holdings Bhd (MAHB), will extol the virtues of palm oil through their digital info screens, in-flight magazines and entertainment systems, art and product displays. “I am glad that MAHB and the airlines have displayed their patriotism by supporting our campaign to further elevate the image of palm oil,” said Primary Industries Minister Teresa Kok in a statement today. The campaign, which was mooted by Kok on January 8, was to instil pride and a greater appreciation for Malaysian palm oil, by focusing on socio-economic importance, health, nutrition and food, and non-food applications. This followed the European Parliament’s Committee on Environment, Public Health and Food Safety (ENVI) passing a resolution last October to ban palm oil biofuels in Europe by 2020. “I hope many more industry players will come forward and join us in this cause to protect our nation’s largest commodity that has been the source of livelihood and jobs for three million people,” she added. Malaysia and Indonesia are the largest producers of palm oil globally. Prime Minister Tun Dr Mahathir Mohamad is scheduled to officiate the official launch of the “Love MY Palm Oil” campaign in the first quarter of 2019. Singapore-listed Wilmar, the world’s largest producer of palm oil, announced earlier in December that it will use satellites to monitor suppliers in a fresh attempt to eliminate deforestation from its supply chain. A digital dashboard called AtSource aims to connect customers directly to the source of supply at each stage of the product’s journey, the company said. “Farmers are not sitting around waiting to use that app. They will use something only when they believe it makes a difference to their livelihoods,” said Siddharth Satpute, digital global program director at Olam. For Olam, the use of technology helps not just farmers but also the company, as it gets information transmitted back from growers on what works, and what doesn’t. That helps Olam better manage farms and supply chains. Posted: Wednesday, January 23rd, 2019. Filed in Biofuels News, Climate Change News, Recent News. 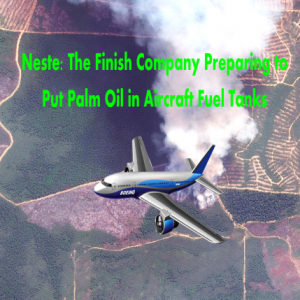 A report by Biofuelwatch reveals that the Finnish biofuel and oil company Neste, which expects to become the world’s biggest producer of aviation biofuels in 2019, relies heavily on palm oil, a leading cause of rainforest destruction. It cannot even guarantee that its palm oil is not sourced from illegal plantations inside a national park. Neste is investing €1.4 billion in new biofuel capacity in its Singapore refinery, which the company plans to turn into a hub for aviation biofuel production. It is already one of the world’s biggest producers of biofuels for road transport. In 2017, Neste used almost 700,000 tonnes of crude palm oil – as fuel – as well as an undisclosed amount of crude palm oil, which the company claims to be ‘wastes and residues’, contrary to legislation in several European countries. The oil palm plantations and mills supplying Neste are mainly in Indonesian and Malaysian provinces with particularly high deforestation rates linked to palm oil. Some is proven to come from an illegal plantation in a national park in Sumatra. Neste’s sustainability standards take no account of indirect land use change (ILUC) which mean the climate impact of palm oil is x3 as bad as the fossil fuels it replaces. Neste continues to try to hide the fact it is using palm oil, and exacerbating deforestation and biodiversity loss. – A report published by the environmental NGO Biofuelwatch  reveals that the Finnish biofuel and oil company Neste, which expects to become the world’s biggest producer of aviation biofuels in 2019 , relies heavily on palm oil, a leading cause of rainforest destruction, and still cannot guarantee that its palm oil is not sourced from illegal plantations inside a national park. Neste is investing €1.4 billion in new biofuel capacity in its Singapore refinery, which the company plans to turn into a hub for aviation biofuel production . The company, which is partly owned by the Finnish state, has entered into collaboration agreements with Air BP, Alaska Airlines, and two US airports, and it is looking for more collaborations in Europe and beyond. Neste is already one of the world’s biggest producers of biofuels for road transport. In 2017, Neste used almost 700,000 tonnes of crude palm oil as well as an undisclosed amount of crude palm oil which the company claims to be ‘wastes and residues’, contrary to legislation in several European countries. to read Biofuelwatch’s report about the Finish biofuel and oil company Neste and its aviation biofuel plans. Neste aims to become the world’s largest aviation biofuel producer in 2019 and to rapidly scale up its production in the next five years. The company is well placed to do so, since it is the world’s biggest producer of biofuels from Hydrotreated Vegetable Oil (HVO), as well as being an existing supplier of aviation fuels (so far primarily fossil fuels). Hydrotreating is the only technology mature enough and within a price range that is feasible for commercial aviation biofuels. Furthermore, Neste has already signed agreements with several airlines and airports to supply HVO aviation biofuels. Neste relies heavily on palm oil – both crude palm oil and an extract of crude palm oil called palm fatty acid distillate (PFAD). The company has decided to locate its aviation biofuel production in Singapore, i.e. in the centre of the world’s largest palm oil producing region. Neste claims that its crude palm oil is guaranteed to be ‘sustainable’ and ‘deforestation-free’. Even if this was true, the indirect greenhouse gas emissions of palm oil biofuels are still three times as bad for the climate as those of the fossil fuels they replace. Neste can meet EU sustainability standards for biofuels by sourcing palm oil from older plantations, commonly ones for which rainforest was destroyed before 2008. However, investigations show that Neste cannot even guarantee that all its crude palm oil is free from more recent or ongoing deforestation. At least one of the mills supplying Neste was found to have sourced palm oil from illegal plantations inside a national park in Sumatra during three separate investigations, most recently in 2017. An undisclosed proportion of Neste’s feedstock – very possibly the majority – consists of PFAD which Neste cannot even trace back to plantations. PFAD is diverted from other users who in turn replace their supply mainly with crude palm oil. This means that the impacts on forests and the climate are very similar whether PFAD or crude palm oil is used. Moreover, further increases in PFAD demand could easily make it more expensive than crude palm oil and thus cause it to directly (rather than indirectly as at present), drive the expansion of oil palm plantations. Neste’s description of PFAD as a ‘residue’ is misleading. PFAD is in fact treated as a food-based biofuel under biofuel legislation in several European countries. Neste, the world’s leading HVO producer, is lobbying for support for large-scale aviation biofuels[xvii]. Neste uses an undisclosed fraction of crude palm oil, called PFAD, (palm oil fatty distillate) in its HVO biofuels[xviii], which it controversially classes as a ‘residue’. PFAD accounts for around 5% of all crude palm oil, but its share could be increased if demand and prices go up[xix]. ICAO supports the aviation industry’s quest for unending rapid growth, a quest which is incompatible with keeping global warming to 1.5oC or even 2oC per (a goal endorsed by the Paris Agreement). Greenhouse gas emissions from international aviation alone grew by 87% between 1990 and 2014 and are rising faster than those from almost any other sector. Efficiency improvements lag far behind growth in the number of air passengers worldwide and there are no available techno-fixes which would allow planes to fly without burning hydrocarbon fuels. ICAO hopes for vast-scale use of biofuels in aircraft: it wants to see 128 million tonnes of biofuels a year being burned in plane engines by 2040, going up to 285 million tonnes (half of all aviation fuel) by 2050. By comparison, some 82 million tonnes of biofuels a year are currently used in transport worldwide. The only aviation biofuels which can currently be produced reliably and at scale – although they are still expensive – are made from vegetable oils and animal fats, using a technology called hydrotreatment. Any large-scale use of aviation biofuels made from hydrotreated vegetable oils (HVO) would almost certainly rely on palm oil. That would be an environmental disaster. Posted: Wednesday, January 9th, 2019. Filed in Biofuels News, General News, Recent News. The Committee on Climate Change (CCC) has been looking at the future role of biomass, to try to cut the UK’s CO2 emissions. In their report they look at how much biofuel the UK aviation sector should be expecting to use by 2050. The AEF has been assessing the CCC report, and say the UK aviation sector cannot rely on biofuel use to offset CO2 emissions growth. Only limited supply of sustainable biomass is likely to be available in future, and it should be used carefully to tackle climate change. The CCC warns that too much hope of biofuel use in future could delay or discourage work on other ways of reducing emissions (i.e. fuel efficiency and limiting demand for flying).” The CCC advises that we shouldn’t plan for aviation biofuel to exceed 10% of total aviation fuel use by 2050. More would risk diverting sustainable biomass from more carbon efficient uses, such as timber for construction, or industrial uses when combined with Carbon Capture and Storage (CCS). CO2 released by aircraft in flight cannot be captured. Significant emissions are associated with the manufacture of aviation biofuel from biomass. The CCC says CCS must be used in this biofuel manufacture, or otherwise producing and burning aviation biofuel could result in even higher emissions than simply burning fossil fuels. The UK aviation sector cannot rely on biofuel use to offset emissions growth, new analysis from the Committee on Climate Change suggests in its report on biomass in a low carbon economy, published yesterday. The report considers the limited supply of sustainable biomass likely to be available in future and how this should best be used to tackle climate change. Specifically, the CCC advises that we shouldn’t plan for aviation biofuel to exceed 10% of total aviation fuel use by 2050. Any more than this, they argue, would risk diverting sustainable biomass from more carbon efficient uses, such as timber for construction, or industrial uses when combined with Carbon Capture and Storage (CCS). While it is not possible to capture the CO2 released by aircraft in flight, significant emissions are associated even with the manufacture of aviation biofuel, and to the extent that biomass is used for aviation, it essential that CCS technology is used in fuel production process. Producing and burning aviation biofuel without CCS technology could result in higher emissions than simply burning fossil fuels. Biomass use in aviation beyond 10% uptake should be used to reduce emissions below 2005 levels, not as a substitute for other options. The recommendation is at odds with figures from those advocating for very high levels of biofuel in aviation. 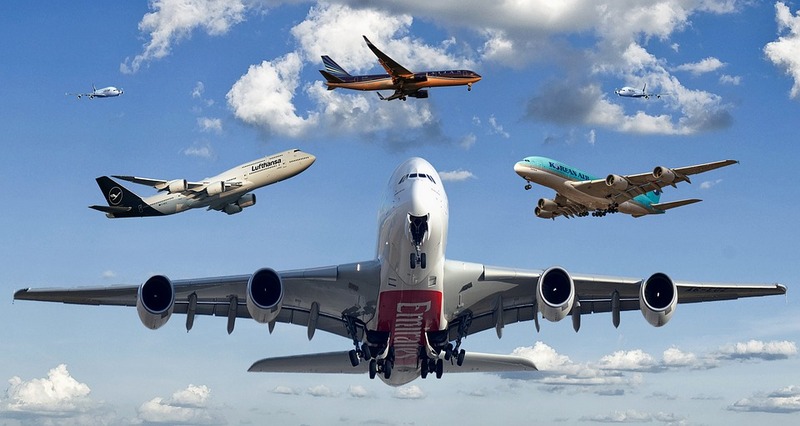 The UK industry coalition Sustainable Aviation, for example, which brings together manufacturers, airports, airlines, and air navigation service providers, has long maintained that “sustainable aviation fuel” could plausibly represent 25-40% of global aviation fuel by 2050. And with growing recognition of the challenge posed by aviation in the context of achieving net zero emissions in the coming decades, a recent draft paper from the Energy Transitions Commission argued for a move towards 100% biofuel for aviation in order to decarbonise the sector. The CCC maintains its longstanding recommendations that aviation CO2 emissions should, by 2050, be no higher than they were in 2005 (37.5 Mt), and that given the likely reductions in the carbon intensity of flying (including from new technology and fuels), this allows for no more than a 60% growth in passenger numbers during that period. Current government forecasts for aviation are that demand will grow by 80% by 2050, and that emissions will reach around 40 Mt, overshooting the 37.5 Mt planning assumption. Meanwhile a separate CCC report, also published yesterday, argues for “fundamental changes” in land use. Subsidies currently given to farmers under the Common Agricultural Policy should instead be directed at climate mitigation and adaption through measures such as tree planting and the restoration of peatlands, CCC argues. Around 18 Mt CO2e is emitted annually from UK peatlands that have been degraded over time as a result of moor burning for grouse shooting, agriculture and peat extraction for horticulture. The “rewetting” of peatland could prevent 4-11 Mt of CO2 being emitted annually. Heathrow Airport announced recently that it is investing in a peatland restoration pilot project in Lancashire. If successful, the airport hopes further investment will help it offset the emissions from some of the flights from a third runway. But today’s report shows that peatland restoration is clearly considered by the CCC not to represent an alternative to action on aviation emissions, but as necessary in parallel to meet the UK’s climate commitments. And if this is true even under the Climate Change Act as it stands, it seems very likely that there will be even less room for any growth in aviation emissions under a more stringent UK target in line with the ambitious temperature goal of the Paris Agreement. The CCC will be publishing a more detailed report on land use next year, as well as an update to its 2009 advice on aviation, including a review of its passenger growth and emissions reduction recommendations for the sector. Around the same time, the Committee will publish its advice to the Governments of England, Scotland and Wales on: when the UK should reach net zero emissions; if that target should be set now; the implications for emissions in 2050; and how such reductions can be achieved. On 30th October CCC launched a call for evidence in relation to this ‘net zero’ report, including on how both low-carbon technologies and behaviour change can be used to help reduce emissions close to zero in difficult sectors such as aviation. Responses are invited by 7thDecember. This is what they say, about the inevitable damage to biodiversity that would be caused by using biomass. They hope that, despite the harm to wildlife, the benefits of reducing the global temperature rise might be of the same “order of magnitude.” Very sad. And it goes on ….. pretty grim for the future of the rest of life on earth, either way …. Posted: Saturday, November 17th, 2018. Filed in Biofuels News, Climate Change News, General News, Recent News. A project to turn landfill waste into (quotes) “sustainable” jet fuel has received a major boost by securing almost £5m of funding from the government and industry backers. The DfT has committed £434,000 to fund the next stage of the project, which will involve engineering and site studies to scope potential for a waste-based jet fuel plant in the UK. This will take hundreds of thousands of tonnes of waste – otherwise destined for landfill – and convert it into jet fuel. The project is being led by biofuels firm Velocys, which has committed £1.5m to the next phase of development. The scheme has also secured a further £3m from industry partners, including Shell and British Airways. BA hopes to use the fuel, to claim it is cutting its carbon emissions (while continuing to grow, burning ever more fuel). The DfT is keen to give the impression that UK aviation expansion is fine, if some biofuels, or alternative fuels, are used. The funding for the Velocys project is part of £22m alternative fuels fund from the government, to advance development of “sustainable” fuels for aviation and freight transport. As of April 2018 renewable jet fuel also qualifies for credits under the Renewable Transport Fuel Obligation (RTFO). A project to turn landfill waste into sustainable jet fuel has received a major boost today, securing almost £5m of funding from the government and industry backers. The Department for Transport has committed £434,000 to fund the next stage of the project, which will involve engineering and site studies to scope potential for a waste-based jet fuel plant in the UK. The plant would take hundreds of thousands of tonnes of post-recycled waste – otherwise destined for landfill – and convert it to fuel for aeroplanes. The project is being led by biofuels firm Velocys, which has committed £1.5m to the next phase of development. The scheme has also secured a further £3m from industry partners, including Shell and British Airways. The airline plans to use the waste-based fuel to help cut its greenhouse gas emissions from aircraft by up to 70 per cent, and particulate matter emissions by up to 90 per cent. The funding for the Velocys project is part of £22m alternative fuels fund from the government, to advance development of a new breed of sustainable fuels for aviation and freight transport. Some £2m was awarded to firms today for further research and scoping work, and recipients of this will be invited to bid for a share of £20m for construction work. As of April 2018 renewable jet fuel also qualifies for credits under the Renewable Transport Fuel Obligation (RTFO) – a shift that has further boosted the long term commercial viability of a waste jet fuel plant in the UK, Velocys said. Waste-based jet fuel is widely regarded as a crucial tool for helping to decarbonise the aviation sector. But it is still an expensive alternative to traditional fuels, restricting its use primarily to test flights. “The waste-to-jet fuel project has the potential to help transform the aviation industry by reducing greenhouse gas emissions and improving the air quality around our country’s airports,” Grayling said in a statement on today’s funding news. But pressure is set to intensify on the government to give the industry more of a helping hand, if plans for a third runway at Heathrow go ahead. Last week the government’s climate watchdog, the Committee on Climate Change, wrote to Transport Secretary Chris Grayling reminding him the UK’s current legally binding pledge to cut emissions by 80 per cent by 2050 means aviation emissions must be at 2005 levels by 2050. This “relatively generous” aviation budget represents a doubling of 1990 emissions, but will still require the widespread use of sustainable biofuels by the airline industry and moves by other sectors of the economy to cut their emissions to almost zero, if UK climate targets are to be met the CCC said. An expansion of airport capacity at Heathrow is likely to require further emissions cuts across aviation and the wider economy, the CCC warned. The hopes are the latest funding boost for jet biofuels will help revive a fledgling sector that has faced a series of setbacks in recent years. Most notably, BA previously shelved a £340m green fuels project, citing a lack of support from government. In February 2010 it was announced that British Airways had teamed up with American bioenergy company Solena Group to establish “Europe’s first” sustainable jet fuel plant, which was set to turn London’d domestic waste into aviation fuel. The plan was for BA to provide construction capital for a massive plant somewhere in East London. BA committed to purchasing all the jet fuel produced by the plant, around 16 million gallons a year, for the next 11 years at market competitive prices. BA had hoped that this 2% contribution to its fuel consumption – the equivalent to all its fuel use at London City airport – would give it green credibility, and it would claim it cut its carbon emissions. The timescale for the plant to be built kept slipping. Nothing has been heard of it for a long time. Now it has been announced that Solena has gone into bankruptcy in the USA. It was never clear why, if genuinely low carbon fuels could be produced from London’s waste, why these should not be used for essential vehicles in London – and why they would instead become a PR exercise for an airline. British Airways and the company Velocys are listed as creditors of Solena. A site for the project, by BA and Solena, to convert landfill waste into jet fuel has finally been announced, after long delays. The site will be in the Thames Enterprise Park, a regeneration project just east of London on the Thames estuary (a few miles west of Canvey Island). The site includes the redundant former Coryton Oil Refinery. Work on building the GreenSky facility is expected to start in 2015 and be completed in 2017. BA is providing construction capital and has committed to purchasing all the jet fuel produced by the plant, around 16 million gallons a year, for the next 11 years at market competitive prices. BA is hoping that this 2% contribution to its fuel consumption will give it green credibility, and it will claim it cuts its carbon emissions. In reality, if liquid fuels can be made from urban waste, there is no reason why aviation needs to be the user of them – especially as aviation intends to greatly increase its total fuel consumption in coming decades. Liquid fuels that can genuinely be considered “sustainable” could be used by any other consumer. If aviation appropriates these “sustainable” fuels, and uses increasing amounts of fuel, the net effect is that other users have to use high carbon fuels. No net benefit. Other than in (flimsy) green PR terms for BA. GreenAir online gives an update on the anticipated biofuel plant (costing around $500 million) to be built in east London, to produce diesel and jet fuel. GreenAir says that according to British Airways’ a 20-acre (8ha) site has been selected for its GreenSky project with Solena and an announcement is expected within weeks. Getting the required planning permission had proved “extremely challenging.” GreenSky will convert around 600,000 tonnes of London municipal waste into 50,000 tonnes of biojet and 50,000 tonnes of biodiesel annually, and will – they hope – meet BA’s total fuel needs at London City Airport. BA hope they can claim annual carbon savings of up to 145,000 tonnes of CO2. “It’s very much a demonstration plant for us. If we can prove this works commercially then we will build a number of them in the UK – potentially up to six – at this scale or even bigger.” “The economics is driven by a current UK landfill tax of about £80 per tonne, so the scheme hopes to get the rubbish cheaply – saving councils the landfill tax. Under its 10-year contract with Solena, BA will purchase all the fuel produced by the plant. They hope to start building in early 2015 and start producing fuel in 2017. Posted: Monday, June 18th, 2018. Filed in Biofuels News, Climate Change News, Recent News.